I love summer! 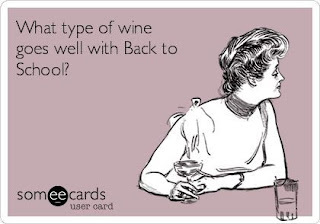 I always have especially since I'm a teacher and summer means time off. Is there anything better than 84 days of no work? But now that I'm in the throws of the last two weeks of summer the honeymoon is over. We are over being with each other all day everyday. The kids are bickering more. We are all a little tired of the pool. The heat and humidity is keeping us inside too much. Even electronics are getting old for the kids. What is it about the last two weeks of summer that make parents realize that it's time to go back to school. I'm actually almost ready to go back. But I am ready for my kids to be in school again. We need to be on a schedule again and have more routine in our days. And the kids need to spend 7 hours away from each other so maybe the bickering can stop. Yes the last two weeks of summer allow me to be ready for school again. But nothing, and I do mean nothing will make me ready for homework again.